I’ve wanted to try this product for so, so long. Along with Laura Mercier’s primer and secret camouflage concealer, the tinted moisturiser has achieved cult status and is the subject of enough rave reviews to wallpaper my entire apartment block. I always bring a tinted moisturiser on holiday with me and this year, after reading yet another rave review, I resolved to take the hit to my holiday budget by shelling out a massive €48 for the Laura Mercier version. As you probably guessed from the title of this post, I really wish I hadn’t bothered. There is nothing wrong with this product: it functions as a perfectly effective tinted moisturiser and imparts a smidgeon of coverage along with a healthy glow. But they all do that, and I’m really struggling to see why this merits such an enormous price tag. Laura Mercier tinted moisturizer blobbed (left) and blended (right). It’s a little trickier to blend out than other tinted moisturisers I’ve tried, but this could be down to the oil free formula. I went in for the regular, but was advised to take the oil free on holiday, for shine control. I still ended up shiny, and since I’ve been home, I’ve been using a thin layer of powder on top. I am enjoying the weightless, makeup-free feeling and I’m going to keep using this throughout the summer, interchanged with my Clarins Skin Illusion when I need a little more help. But I won’t be repurchasing, not when there are so many other amazing sounding products on the market for a fraction of the price. 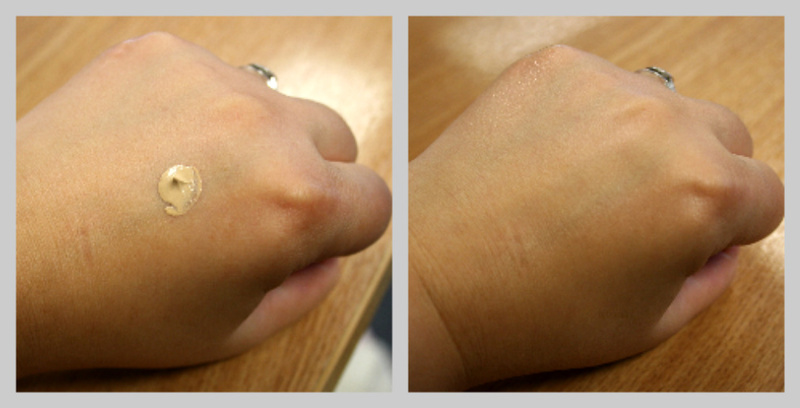 This weekend I tried out a sample of Clinique’s Moisture Surge tinted moisturiser, which at €28 is a good twenty quid cheaper than Laura Mercier’s offering. It provides great coverage for a tint, and comes with SPF 15 and a choice of 6 shades. And fellow Liz Earle fans will be delighted to learn that this September, the brand will be taking their first steps into Liz Earle Colour with the launch of the first Liz Earle Sheer Skin Tint (also with SPF 15). I don’t know yet how much the product will cost, but if you want to be among to first to find out, you can sign up for updates here. I splashed out on the foundation once because I'd read so many rave reviews and was disappointed too - again, not because it's not fine but because it's so expensive for what it is. I'm making do without a tint for now as I'm holding out for that Liz Earle product since I read about it in her wee book recently - sounds great. Bloody annoying to splash out and then find its meh. I am a huge fan of the Clinique TM - way more coverage that I would have anticipated but still feels weightless and gives good glow! Dying for the LE one, am a new convert to her skin care. @Jo and Lee, really looking forward to the Liz Earle release too, have yet to be disappointed in their products and they're always really good value for money too. @actionmags THIRTY quid for an eye primer?! How does it perform?! @ihavemostlybeen I was really impressed with the Clinique sample, it was just a wee free-with-a-magazine sachet that I used for one day, but it looked and felt great. 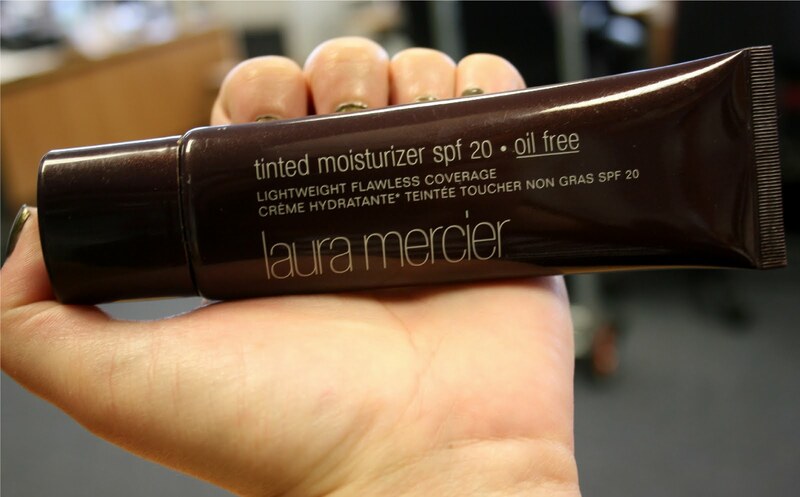 I LOVE this tinted moisturiser, it's a tad on the pricey side but a little goes a long way! I felt the same about Laura Mercier foundation. Needed a replacement for Giorgio Armani and was lured by the oil free formula and good press (but not the pricetag) but was an overall feeling of meh too. Replaced it quickly. LOVE Clinque Moisture Surge, have all but replaced my foundation with it for summer. Or, what summer we have had! I had thought this was supposed to be amazing and was going to get it too, based on my love for secret cam... I won't now. Thanks for these hot tips on how to apply a concealer. I have so many dark spots on my face and I can't afford to have an acne scar reduction so I think this concealer will do the trick.